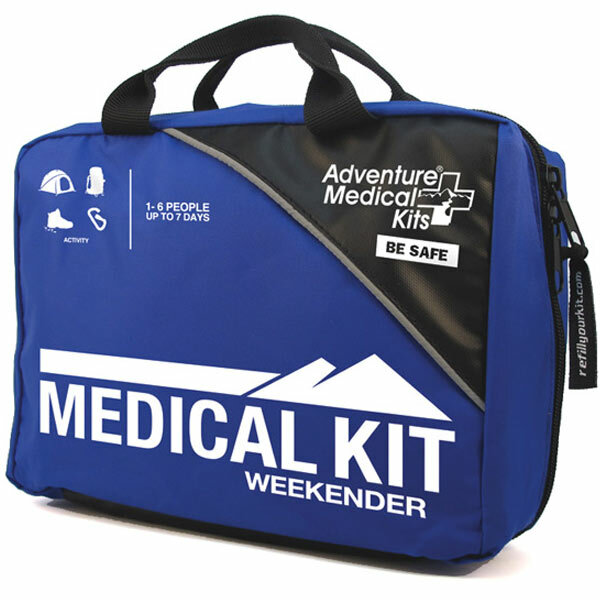 You should look at Adventure Medical Kits products as an easy way of sorting out your emergency medical needs when you’re packing your bug out bag. It is tempting to buy all of the different components separately as you will be able to buy exactly what you need, but storing them against all scenarios will be difficult. The company has tried and tested these kits in all sorts of outdoor environments, in order to meet unexpected medical needs. When it was set up in the 1990s, the goal of the company was to provide innovative ways of allowing novice climbers and hikers to perform medical operations on the go in challenging weather conditions. Doctors and EMTS consulted to design the Adventure Medical Kits products and professional outdoor athletes have tested them. You can buy specific kits for specific injury types, or bigger generic kits that will treat a wide range of common outdoor injuries. Water resistant –One of the big worries about outdoor medical kits is how to keep them dry. The minute that you get water on bandages or Band-Aids, they become unusable and very heavy. The AMK packs store their contents in Dryflex bags, which are sturdy plastic bags with zip lock tops. These are rain proof and designed to survive even when dropped in a large body of water. Easy Care system – If you ever watch an EMT at work, you will see that their medical kit is completely compartmentalized so that they can find everything with ease. Every pack has The Easy Care system, which separates the bandages, gels, ointments and sprays in clearly marked compartments. It is worth familiarizing yourself with the different locations so you do not waste time searching for the right item. Compact – Among the medical kits on the market that are most comprehensive, the AMK products are one of the most compact. The four day, four person bag folds up small enough to fit in the bottom of an 18 liter backpack while leaving enough room for medical supplies to deal with most emergencies. Mountain Comprehensive – This huge bag provides backcountry medical care for groups of up to 44 people for up to four weeks. It comes complete with dental repair kits, medication, syringes and wound care and you can expect to pay around $200 for the kit. World Travel – The design of this kit meets your needs in countries where you might not want to rely on the local medical care. Inside you will find basic wound care items like scalpels and adhesive stitches as well as fever medication and water purifiers and it will cost around $70. Ultralight/watertight – This selection of small packs are ideal for day or weekend hikes, meaning that it will keep you in business for a short period until you get professional care. The .3 packs are less than $20 and the .9 packs cost around $35. It is worth looking at the Adventure Medical Kits to get an idea of the products you can buy and will need for extended time away from professional medical care.